Lincolnshire born Joanna Eden wrote and performed her first song Happy December age seven. The daughter of a musician and a drama teacher she could read music before she could write, studied piano from age 4 and left university 17 years later with her first tour (with college Indie-band ‘Precious’), an all consuming love of Ella Fitzgerald and a weakness for drummers. Since then, Eden has released 4 albums and over 35 original songs. Joanna has been a singing teacher for 12 years and is so proud that her first student Sam Smith has become an international star and highest selling debut artist in the US since records began. She began teaching Sam when he was just ten years old, coached him throughout his childhood and introduced him to songwriting, co-writing and producing his first demo tracks. She is a vocal coach for the popular music and performing arts degree courses at Anglia Ruskin University. "Strong songwriting and clever, heartfelt lyricism blended with a boyish charm. Straight Eyed Pessimist is an impressive first solo release from Michael Robshaw and one that points to a very promising future for this up and coming artist"
Cambridge based musician Michael Robshaw has just released his debut album 'Straight Eyed Pessimist' following the release of his first EP 'In Time'. Showing a strong and rapid development in his song writing ability, Michael has chosen a selection of his song bank to appear on the album that tell a flowing story, making it an easy listen, relatable and a very memorable debut release. Influenced by the likes of The Script, Bombay Bicycle Club, Biffy Clyro, Coldplay, George Ezra, Ed Sheeran and Noel Gallagher. Michael's sound is sure to deliver something for everyone, whether that be poetic lyrics, melodies that etch on your mind or simply the full package. Fashioned over his teenage years of consistent and dedicated composition, the mix of soft, indie/alternative rock and pop creates a very likeable style. 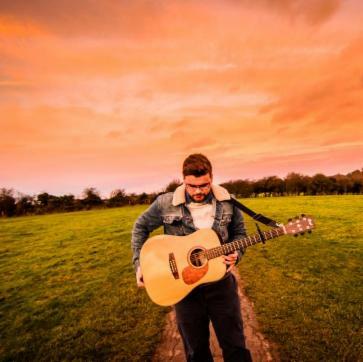 Having extensive gigging experience spanning across the UK involving two UK tours, Michael has gained profound familiarity with the live music scene. He has gigged in all types of venues from small pubs to dedicated music rooms with audience capacities of up to 900. Michael has had links with a prime time ITV show, a broad record of radio plays and live sessions and has appeared in magazines such as NME and Sound on Sound under a different alias. 'Straight Eyed Pessimist' is the product of Michael's personal experiences. His musical creativity is driven by life events he encounters and circumstances he feels strongly about. This allows listeners to form a certain connection with him and his music, making the songs more than 'just another thing to listen to'. 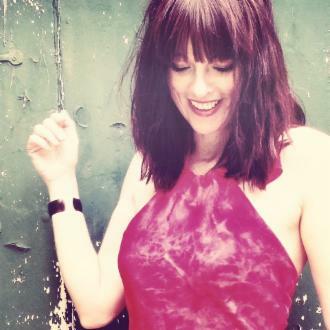 British singer, songwriter and guitarist Kerry Devine is back. Her debut album, was released on March 1st 2014. Since her emergence onto the music scene in Paris last year, where she began her tour of France, she released 'Fools That Fall E.P' - It received international attention and won comparisons to folk icons like Joni Mitchell and Sandy Denny. Starting her musical journey in 2012, at the age of 14, Grace Sarah has rapidly established herself as one of the country’ rising young stars and according to the BBC definitely “one to watch”. Since she astonished judges and audiences alike by winning the 2012 Strawberry Fair Band Competition in her home town of Cambridge (the youngest ever winner in the events 25 year history and her first ever live performance), Grace has gone on to play bigger and bigger events, resulting in an invitation to play at The Secret Garden Party in 2013. Her unique sound has captured the hearts and minds of tens of thousands of fans across the world from Iceland to Australia, Indonesia to Brazil. The songs she writes include unique imagery and simple beautiful melodies. Her voice is quintessentially English with pathos and emotion that belie her years. This combination is typified in one of early tracks, “Calling Eagles”. Little wonder Christopher Bailey, head of the fashion label Burberry, selected it to be part of their “Burberry Acoustic” program, the track being played across the world in each of the company’s prestige stores. Radio and TV have picked up on her remarkable story, and offers to play venues and events usually reserved for more established acts have flooded in. Each time she plays, audiences and promoters alike are amazed at the quality of the songs and the calm confidence and delightful take on the world her self-penned lyrics provide. In 2013 BBC Introducing Cambridge selected her to represent their region and invited her to the National BBC Introducing Master Class in Cardiff. Since then her songs have been played locally and regionally with increasing frequency, resulting in direct contact with the Head of BBC Introducing Lyndsey Boggis.